/// This sample shows how to work with shapes. // Create shape 1 with fill and outline. // Specify outline and fill using a picture. // Set fill for this shape. // Create shape 2 with some text inside, 100mm*20mm. // Create a new paragraph with a formatted text. // Add the paragraph into the shp2.Text property. // Add our shapes into the document. // Save the document to DOCX format.
''' This sample shows how to work with shapes. 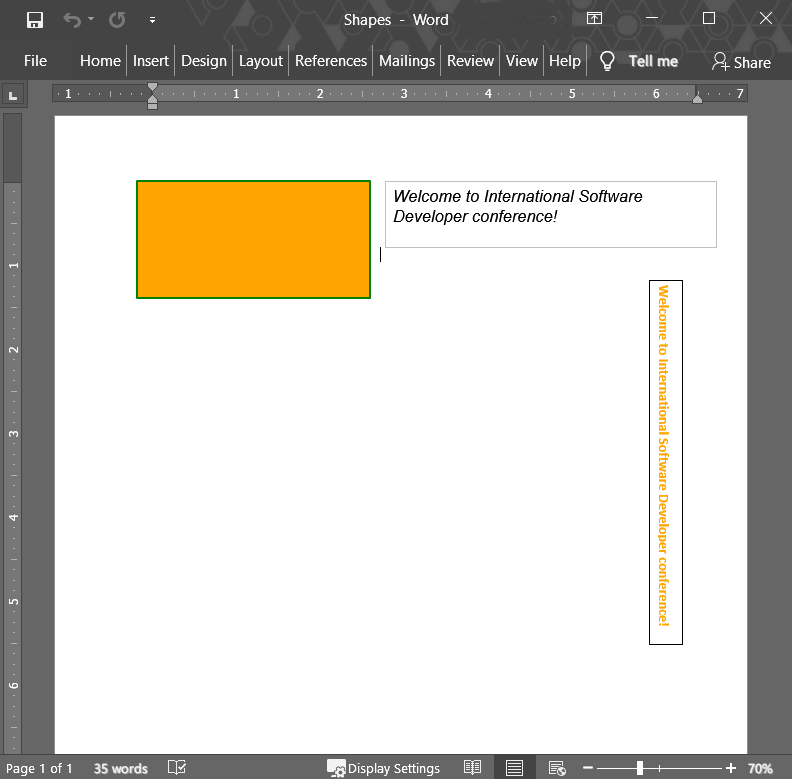 Dim documentPath As String = "Shapes.docx"
' Create shape 1 with fill and outline.
' Specify outline and fill using a picture.
' Set fill for this shape.
' Create shape 2 with some text inside, 100mm*20mm.
' Create a new paragraph with a formatted text.
' Add the paragraph into the shp2.Text property.
' Add our shapes into the document.
' Save the document to DOCX format.